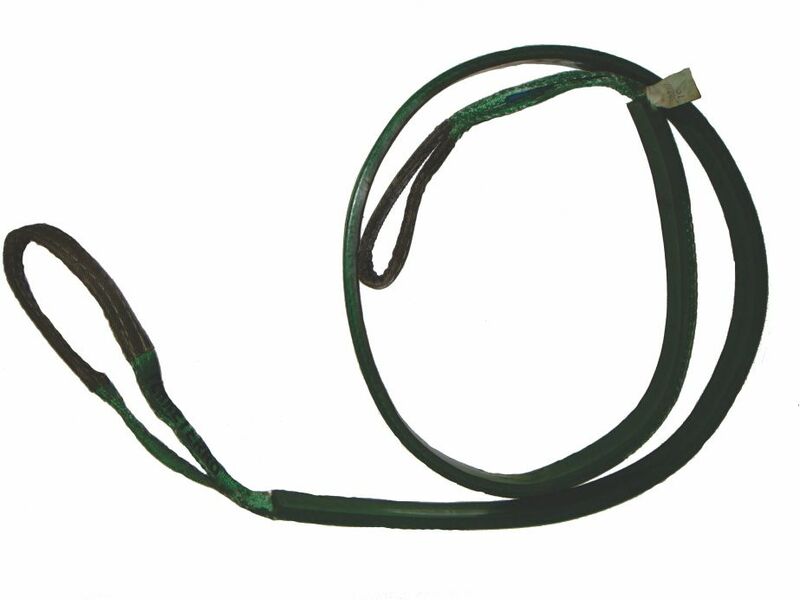 Ferretexx Coated Slings – FERRETERRO INDIA PVT. 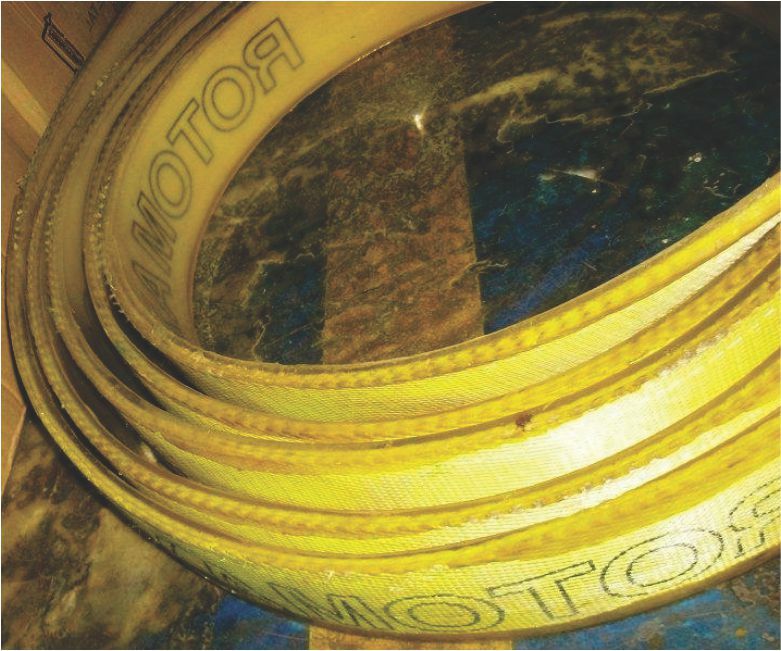 LTD.
FERRETERRO molded slings have permanent coating of specially formulated Polymer material with very resistant characteristic. 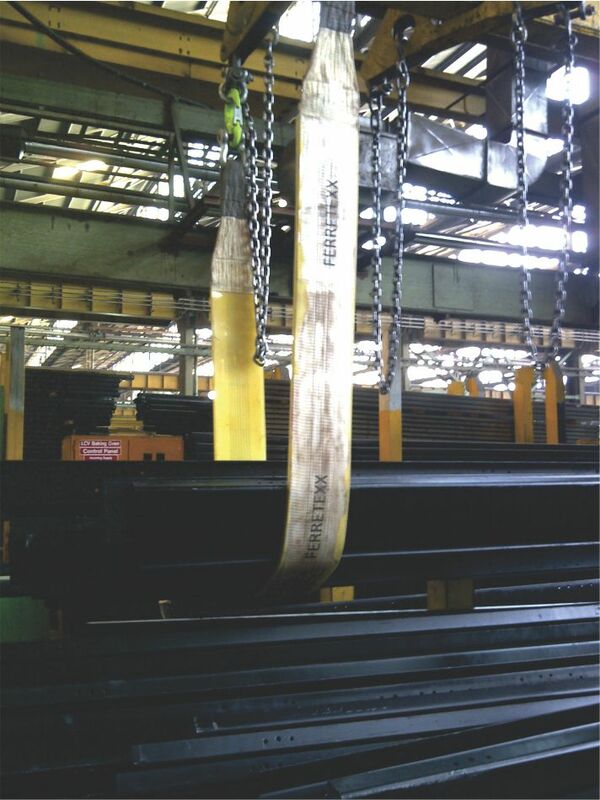 It becomes harder and more resistant against cuts when laid around a sharp edge due to compression in its molecular structure by a stressed surface. 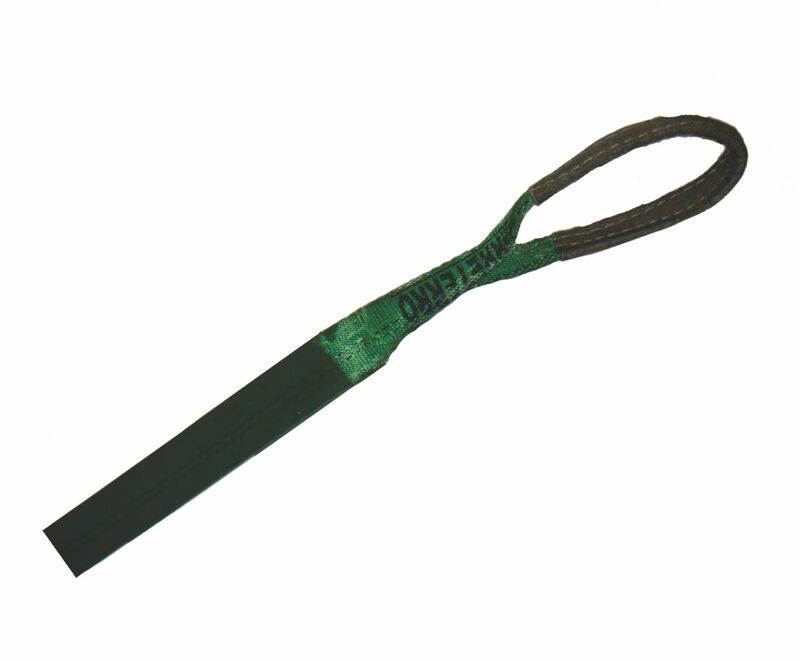 These slings are ideal for lifting of sharp edge loads like steel coils etc. l Available in one side or both side coating. more durability than ordinary slings. 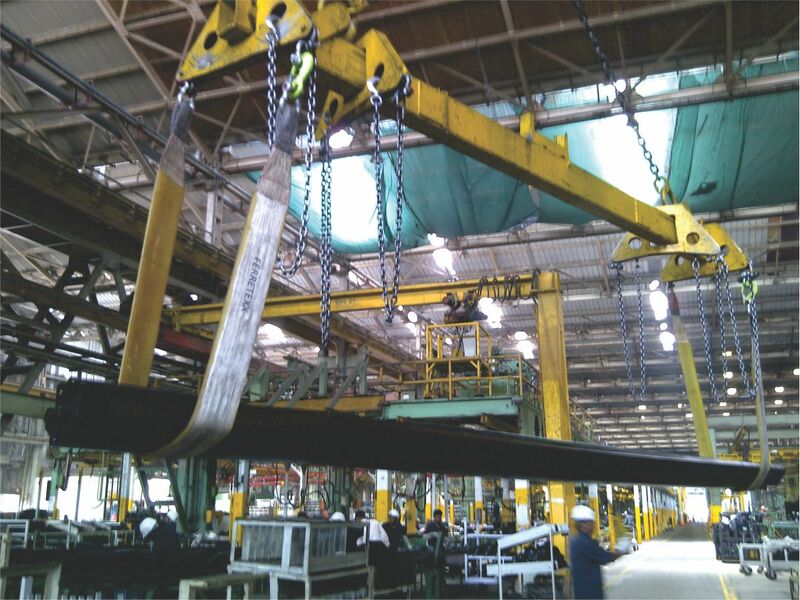 l Available up to 30 ton capacity.